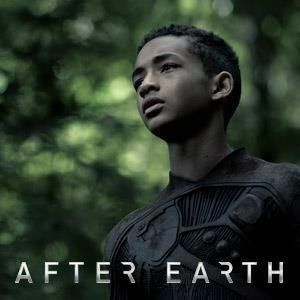 Sony Pictures answer to Universal Pictures' upcoming Oblivion, starring Tom Cruise as the last man on earth, is director M. Night Shyamalan's After Earth, starring Will Smith and his son Jaden Smith as two space pilots exploring an inhabitable planet after the decimation of our own world. Since Universal launched their Oblivion trailer this weekend, it only makes since that Sony would rush to get their trailer seen as well. Watch as father and son go searching for the answers to the universe in this sci-fi epic.